Tomson Ho, General Manager of V-Color Technology Inc. In light of the increased demand in server memory from emerging countries and companies such as Facebook, Google and Amazon, cloud computing has stimulated diversity in the production lines of major memory manufacturers. Before the other manufacturers start investing in server module, V-Color has already spotted the cloud computing and begun its server module production 3-4 years ago, which puts it in an advantageous position in the market. 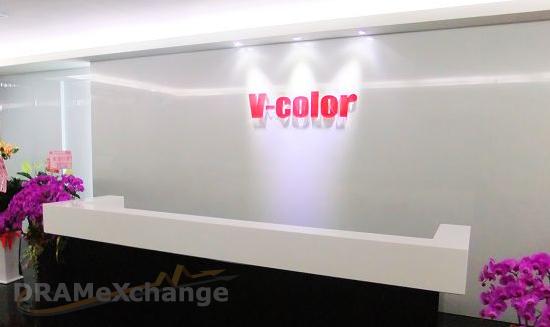 V-Color, founded in 2000, started as a monitor manufacturer. When asked of the spirit of the company’s slogan “V-Color, Color your life,” Tomson Ho, the general manager of V-Color, said: “We hope to enrich our clients’ lives with our monitors.” Because Mr. Ho comes from the DRAM industry, V-Color started its transformation into a DRAM maker a few years ago and steadily establishes itself as an exceptional DRAM manufacturer. “In the standard module industry, which has very distinguishing slow and peak seasons, the price dictates everything. 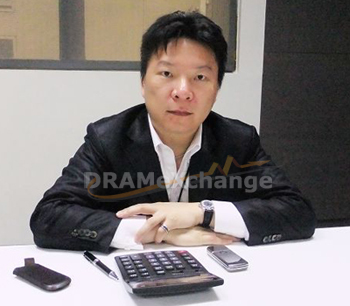 That was why we decided to take the leap and started our server module production,” said Mr. Ho. At first, other manufacturers were pessimistic about V-Color’s bold move and thought V-Color has taken it too far. However, despite skepticism from other companies, V-Color persisted in following through its plans. V-Color invested a great deal of money and human resource, and successfully overcame issues of production, technology bottlenecks and compatibility. Its efforts put into the server module industry eventually pay off: even when the DRAM market was suffering from decline, V-Color was still able to maintain its server module shipment in America, Europe and China. In addition, V-Color has its own production line, which allows them to flexibly adjust its production in response to the market state. In conclusion, the impact which the decline caused on V-Color was limited. In order to provide the employees with a better work environment and to enhance product quality, V-Color invested a great amount of money in relocation of its plant and the purchase of new equipment. Mr. Ho stated: “The combination of the plant and the office can make it easier to monitor the product quality; a good work environment can make the employees more dedicated to their work.” To save the employees from long-distance commute, the new office is still located at Xindian, but the space is expanded to 2145 square meter, where there is sufficient room to install new equipment. The adequate light, the spacious hallway and the comfortable work environment provide a stress-free space for the employees. The newly-installed equipment will enhance the product quality. Mr. Ho stated that the goal of the plant’s relocation is to be prepared for the future challenges. Mr. Ho is not stingy with the company’s investment: the new plant and office are equipped with not only a dust-free room but also the latest semiconductor equipment. Mr. Ho said: “Server module is a high-end product which requires higher quality. Only with a strict quality test of chip will the product quality and price meet the demands of clients.” V-Color hopes to establish a more comprehensive product line and provide the clients with one-stop-shop solution. Under this bad economy climate, V-Color’s strategy is to storage more power and get prepared for the future challenges. At the Computex Taipei 2011, V-Color will focus on products of Apple and showcase its long-developed server module technology. Mr. Ho indicated: “With our comprehensive product line, the specific theme of our booths will make it easy for our target customers to fulfill their needs. V-Color will hold 6 booths at this year’s Computex, and they expect to double or triple the amount of their booths in next year.